Yueqing Jiuhong Electric., Ltd is a hi-tech enterprise, with a professional team of skilled technicians and experts, imported foreign advanced production and test equipment, mainly manufacture stainlesssteel cable tie, plastic sprayed stainless steel cable ties, plastic covered stainless steel cable ties, plastic stuck stainless steel cable ties, nylon cable ties, Cable glands, cable clip, wiring cap, terminal, cable marker, spiral wrapping bands, cold compressed connector etc. Since the establishment, in order to plan role in our power industry development, the company devote to the new technique application and the research of new products, and attain great achievement for state power industry. 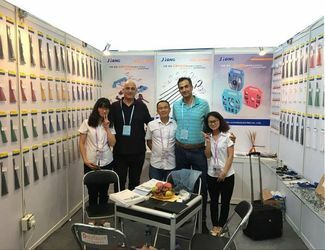 Jiuhong products are welcome in the market vased on reliable quality and latest technology. The company has excuted scale extension and technical innovation several times, now possessed advanced technology, complete production and test equipment. The company had won good reputation depending on strong technical power and strict quality management. 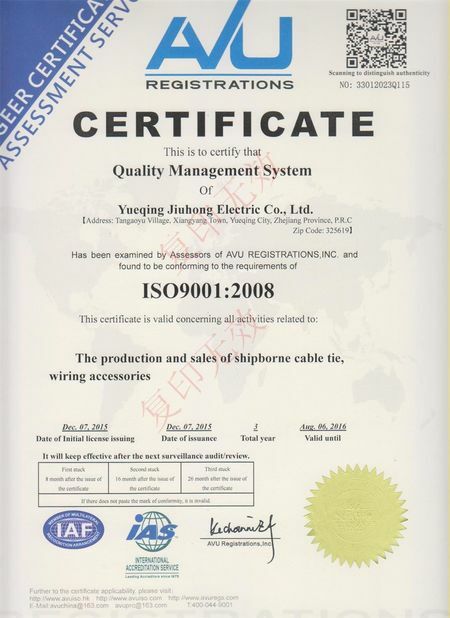 All perfomances of products had reached national standard, and passed ISO90001, Quality management system, Astandar dization, UL certification., CCS China Classification Society Certificate, European CE certificates and etc. 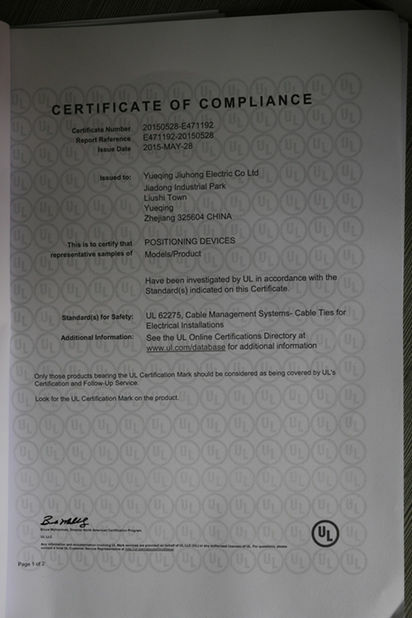 All products have got RoHS certificate and environmental protection test. Liushi Town, Yueqing City,Zhejiang Province,China. 3. We changed the new factory in 2015,SGS company verification. Self-locking stainless steel cable tie,stainless steel buckles/wing seals,stainless steel banding,tensioner tool,nylon cable tie,cable gland and cable clamp. •Provide strict check for each part,each process before export. •Provide post-sale service,including installation,technical guide and training. Since foundation,our company keeps living up to the belief of “ honest selling, best quality, people-orientation and benefits to customers ”. We are doing everything to offer our customers with best services and best products .